Mr Peter Freeman talks about the Benfleet of his childhood in the 1930’s and 40’s. Plane crash on Pitsea Marshes. For his musical memories click here. 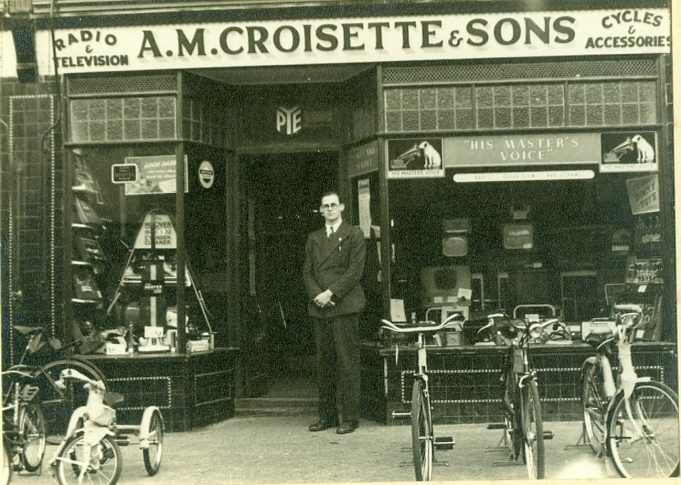 Croisette’s TV shop was at the corner of Richmond Avenue and the High Road across the road from what is now The Benfleet Tavern. Mr Croisette outside his shop in the High Road. 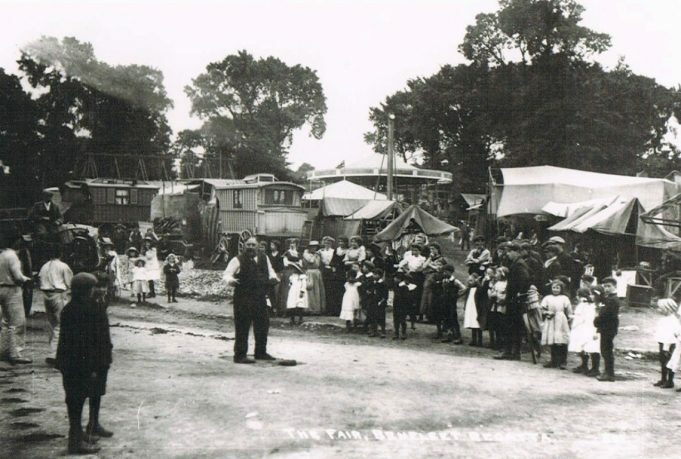 The Summer Fair in the field next to the school, death of a young girl at the fair. Description of the school in school lane, Mr Brown the caretaker of the school had 6 sons. The Croisette family bring TV to Benfleet and various other shops in the High Road. Business School in Hope Road.